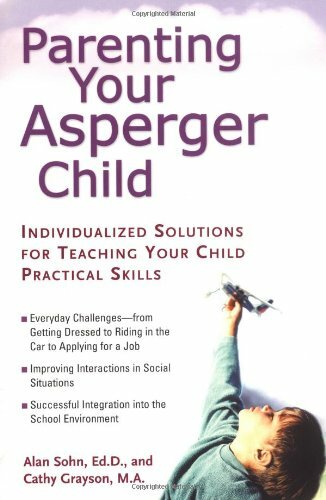 Abundant, true-to-life dialogues between Asperger children, their parents and peers model the strategies of school psychologist Grayson and special education teacher Sohn in action. A glossary of verbal cues (e.g., “in your mind” for thoughts children shouldn’t voice aloud) offer elegant and unequivocal ways to redirect undesirable social behaviors. Pp. 288. This entry was posted in Family Relationships, Our Library and tagged Autism Spectrum Disorder, books, Family Relationships. Bookmark the permalink.